"The art of realising a figured bass, ’bass continue’, is one of the very few remaining improvisatory skills in western classical music. It is a subtle art, yet has a great effect on the music being played, since the harpsichordist can permeate all levels of the harmony and rhythm. This workshop aims to explore and enjoy this art in an informal public setting and is aimed at student groups, with a special emphasis being placed on the role of the harpsichord." Spaces are available for 3-4 small student groups to work with Waterfield and for the general public as auditors. Student groups should consist of a minimum of 2 players (e.g., harpsichord plus singer, violin, flute, etc.) and an appropriate piece of 17th- or 18th-century chamber music should be prepared, to last no longer than 7 minutes. Pitch will be A440. 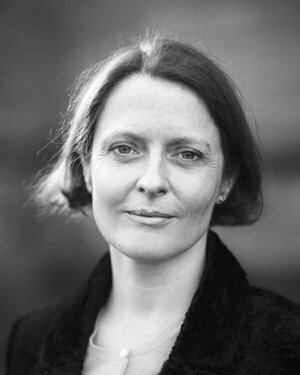 Jan Waterfield read Music at Cambridge University and continued her training with postgraduate studies in harpsichord and piano at the Royal Academy of Music in London. As a continuo player, she has played with many prestigious ensembles, including the European Union Baroque Orchestra and Paul McCreesh’s Gabrieli Consort. In addition to a brilliant solo career, she is also active as a teacher in Scotland and across Europe, most notably at the Royal Conservatoire of Scotland, where she teaches harpsichord. Please note that the above rates are for the general public. Spaces are FREE for participating groups of student musicians.